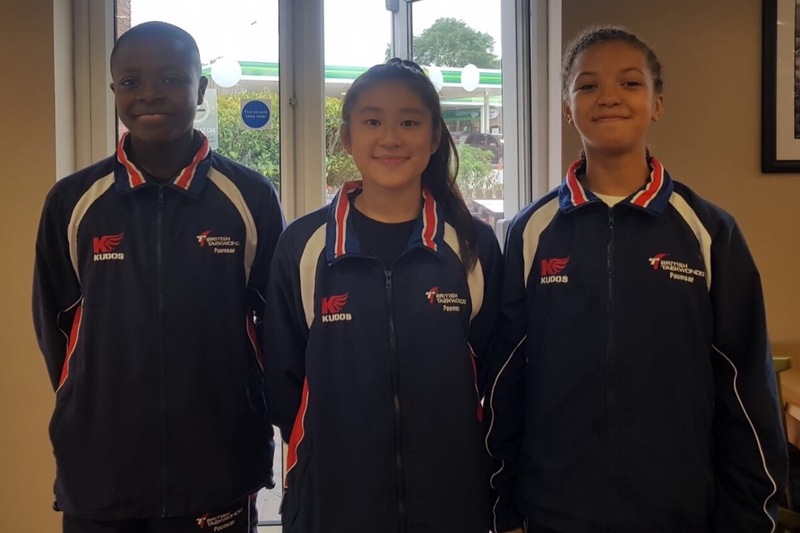 We are the Taekwondo students from Nomad Taekwondo, who are lucky enough to have been chosen to represent Great Britain in the World Championships in Taiwan in November 2018. We will be competing in the U14 male, U14 female and U17 female synchronised team events. We have previously represented our club and Great Britain in local, national and international Poomsae Tournaments. It is a huge honour to be able to represent our country at tournaments across the world, and we are very excited to have been selected for such a prestigious tournament. We are also conscious that we will be competing against the best in the world, and we hope to make both our Country and our Club proud of our achievements. On average, we train for 15 hours per week, and when we are preparing for the larger international tournaments this can increase to over 30 hours training per week. We are proud to say that we consistently medal during the tournaments that we have recently participated in, often with individual, synchronised pairs and synchronised team silver or gold medals. We are aged between 12 years and 15 years, and currently at our level there is no central funding for our sport, so we are required to self-fund our participation in all of our tournaments, and all associated training costs. The target we have set will enable us to prepare for the forthcoming World Championships in Taiwan and all of the additional training sessions at the prestigious Head Quarters of Great Britain Taekwondo in Manchester, tournament fees, athlete travel and accommodation, Competition Doboks, and tracksuits. It will also fund any additional costs for sports therapists. Every penny raised will be invested directly to the athlete. We will all be genuinely grateful for anything that you can give. We would like to thank you for your support, whoever you are, from whichever of the communities that we are a part of, thank you for helping us to achieve our dreams. We hope to make our local club, Nomad Taekwondo; our Great Britain squad; our families and our local communities proud of our achievements.